Do you know the history of this mysterious away-game emblem? Back in the days before air travel (and Interstate 5), Husky fans would board a train bound for enemy territory. This sign greeted them as they took their seats. It was donated to Hec Ed’s Husky Fever Hall of Fame by Marcia Wahlman, whose parents were Husky die-hards. They bought this sign at an auction and hung it in their rec room. But that’s all we know so far. We need your help to get more information about this one-of-a-kind sign. 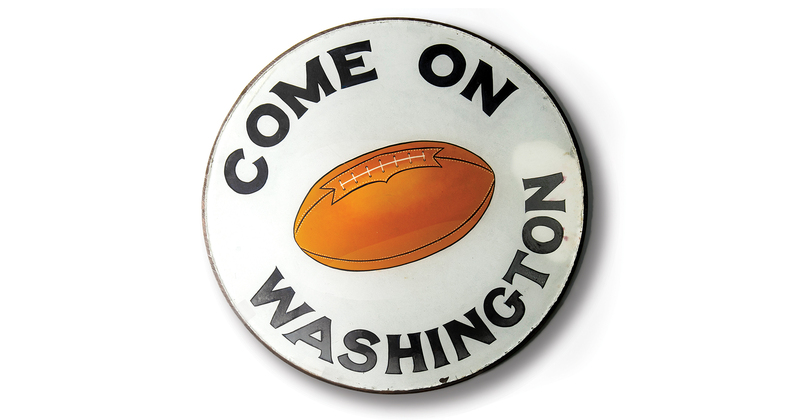 So Husky fans, help us out: Can you tell us more about this sign? Send your info to columns@uw.edu.